Set on a mountainside of verdant greenery is the small village of Perahori. 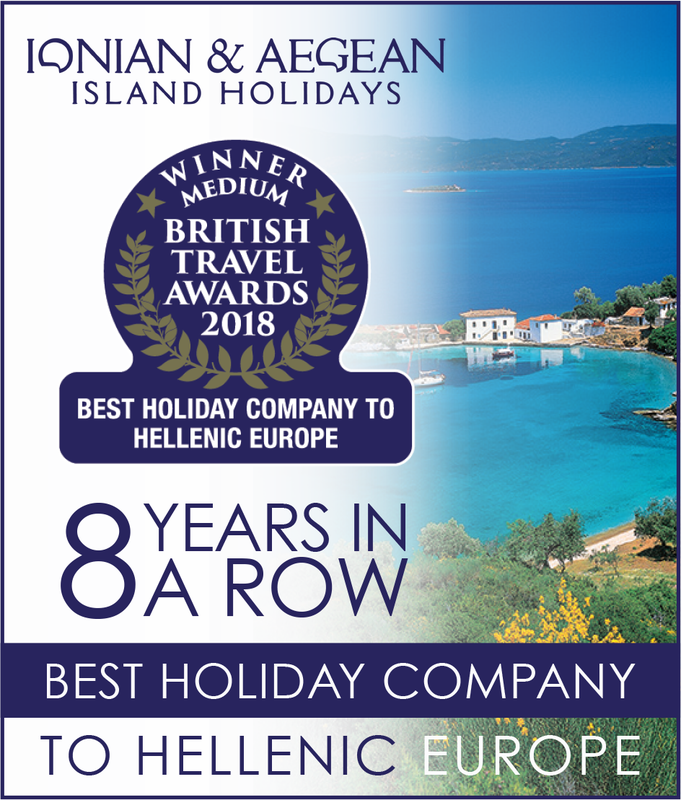 This charming rural hamlet is one of only a small number of working agricultural villages on the island, producing some of the finest olive oil, feta cheese and wines, which you are able to buy in the local shop. 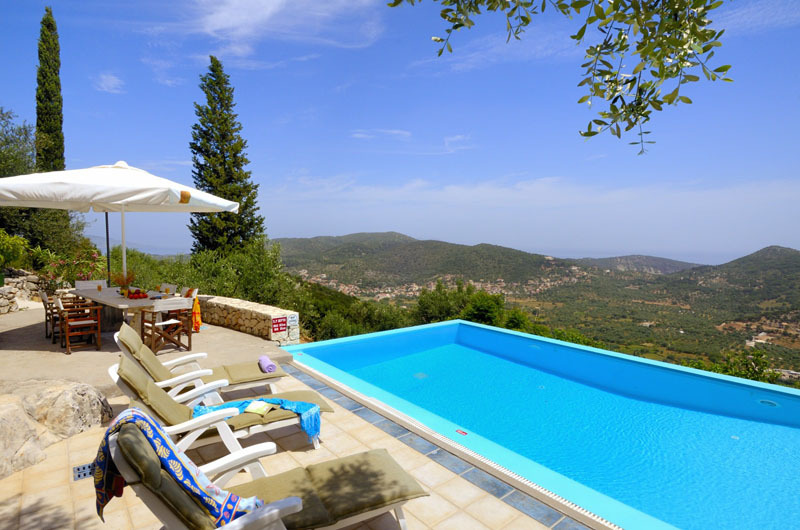 It is at the edge of this village where Villa Kounouvato has been built in a superb location on the side of Mount Nerovoulo, taking full advantage of the breathtaking scenery. 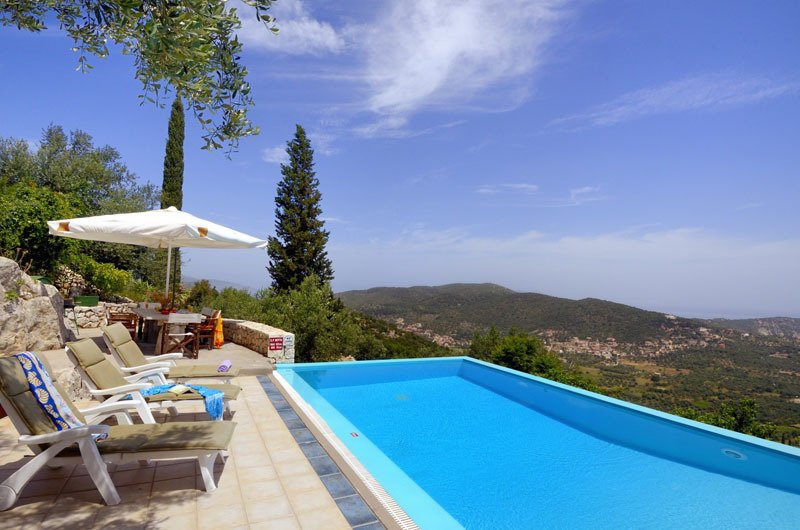 Villa Kounouvato is a charming villa set high on a hillside with a fantastic vantage point these have to be some of the most stunning views over southern Ithaka and across the Ionian to Lefkada. 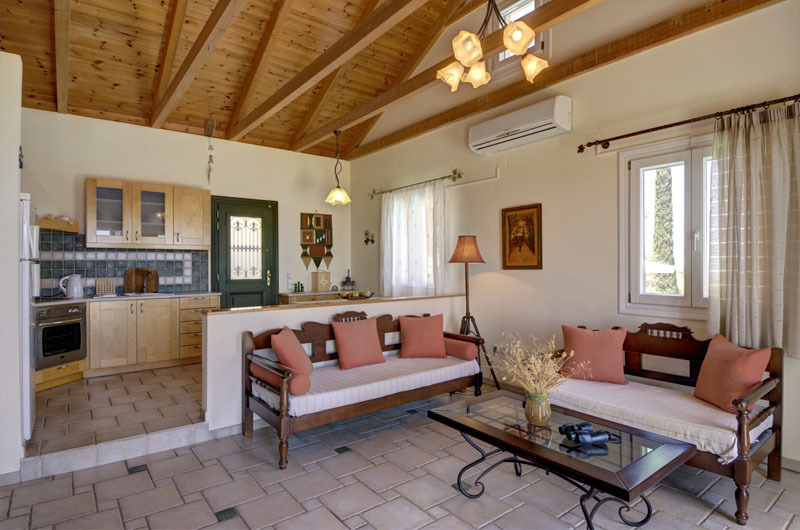 The villa is perfectly located, close to essential amenities and beaches. A mini market and taverna is only fifteen minutes walk away with the bustling harbour of Vathy only a ten minutes drive. 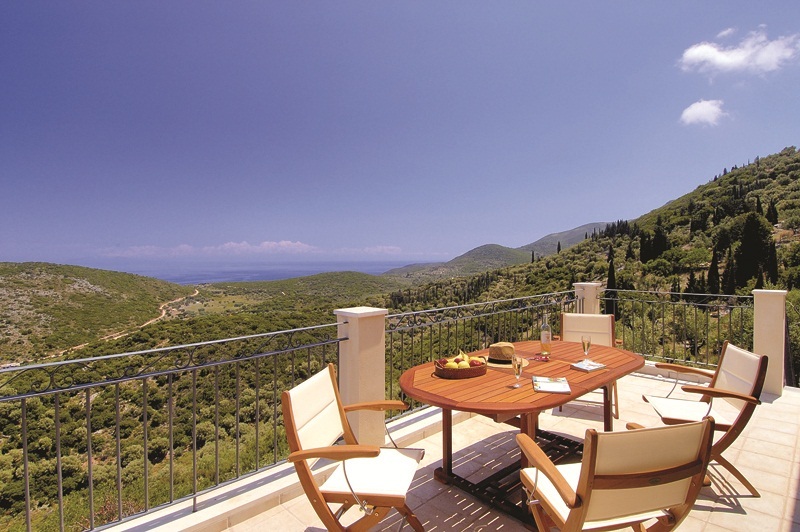 Outdoor living is certainly a priority at Kounouvato, with relaxation being the key. 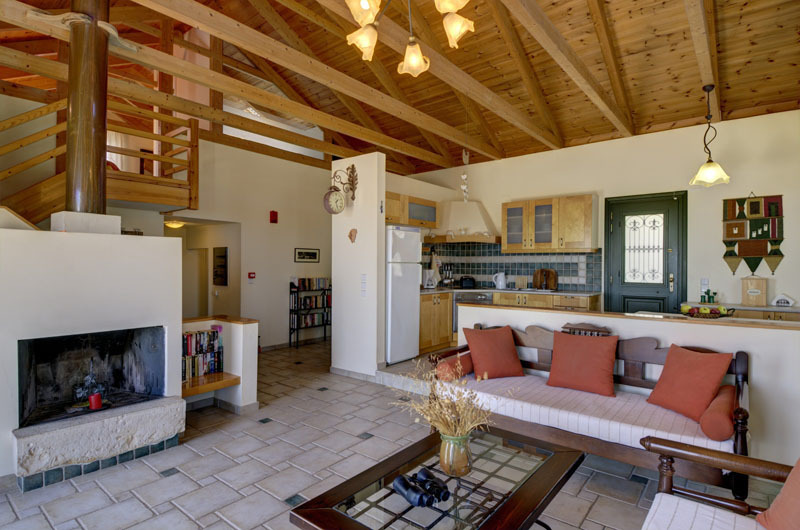 You enter the tastefully furnished house into a large open plan living/dining area with kitchen. Also on this floor are two double bedrooms both with en suite shower rooms. The third bedroom with twin beds and en suite shower room is upstairs from the living room on a mezzanine floor set amongst the fabulous wooden ceiling beams. 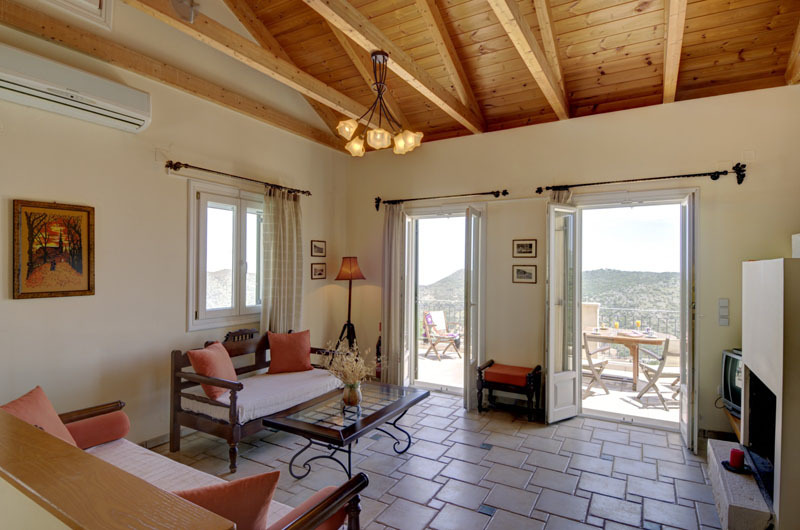 Patio doors from the living room lead out to a large open terrace and the best of the views taking in a true panorama of southern Ithaka. 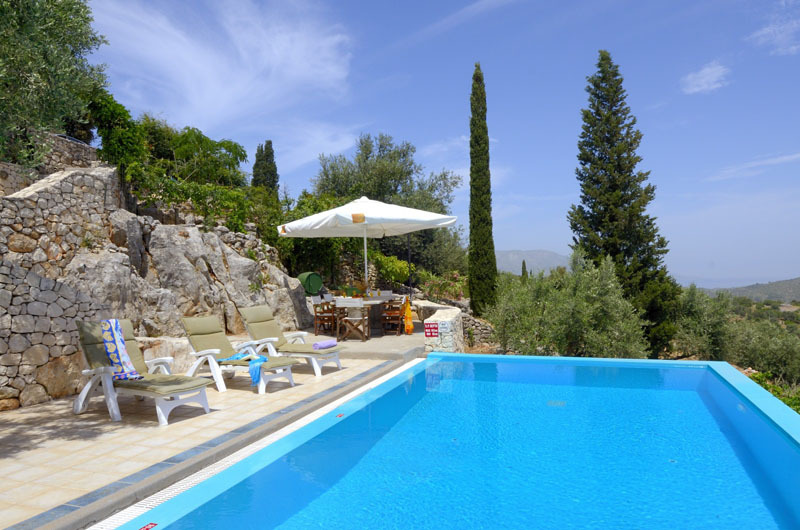 The pool, terrace and barbecue area were meticulously planned to embrace the olive trees and the natural rock face which draw you into the wonderful natural environment. 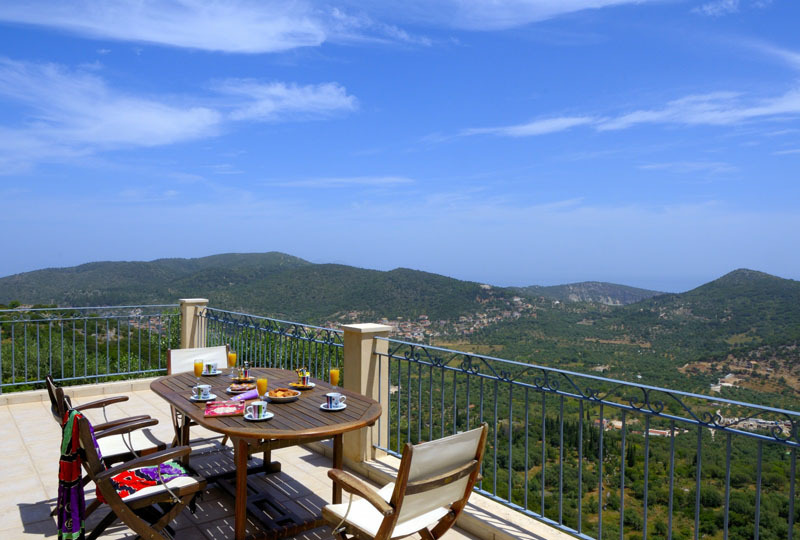 All outside terraces look out towards the view and fantastic sunrises. 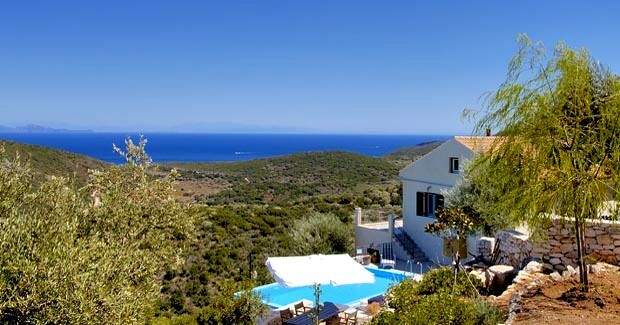 Villa Kounouvato is a charmingly designed villa with views that are second to none on Ithaka.